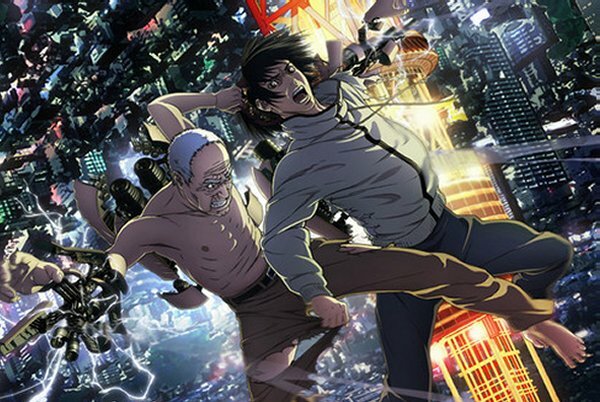 Don't miss the exciting anime series: B - The Beginning and Inuyashiki! 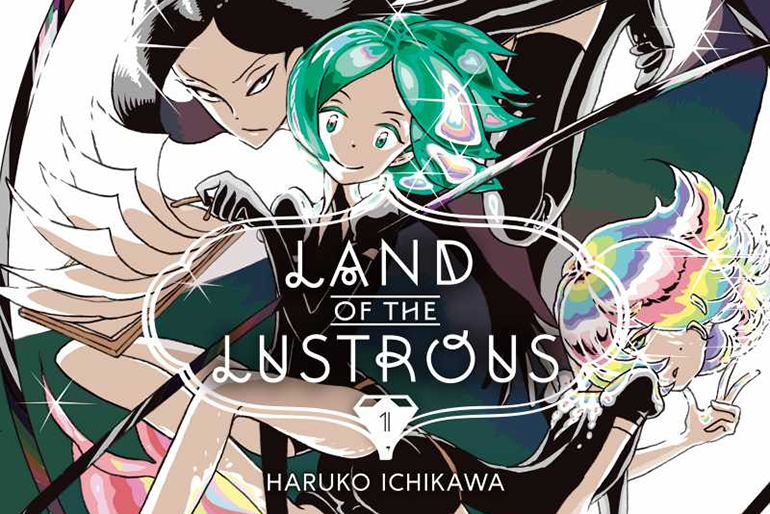 Plot Summary: [Source: Wikipedia] In a place inhabited by jewels that take the form of people, Phosphophyllite (Phos) is weak (with one of the lowest hardnesses) and considered useless by their peers. Phos asks their aloof but wise colleague Cinnabar for help after they receive an assignment to create a natural history encyclopedia, thus beginning their friendship and personal growth. Meanwhile, the "jewel people" are at war with the Lunarians who want to take advantage of their luxury value. Plot Summary: [Source: Wikipedia] Mari Tamaki is a second-year high school student who wants to make the most out of her youth but is usually too afraid to do so. 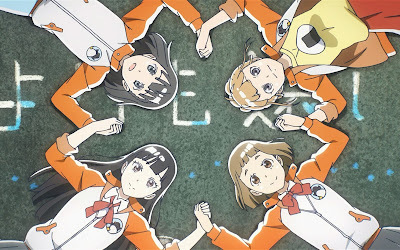 One day, she meets Shirase Kobuchizawa, a girl who has been saving up to travel to Antarctica, where her mother disappeared three years ago. 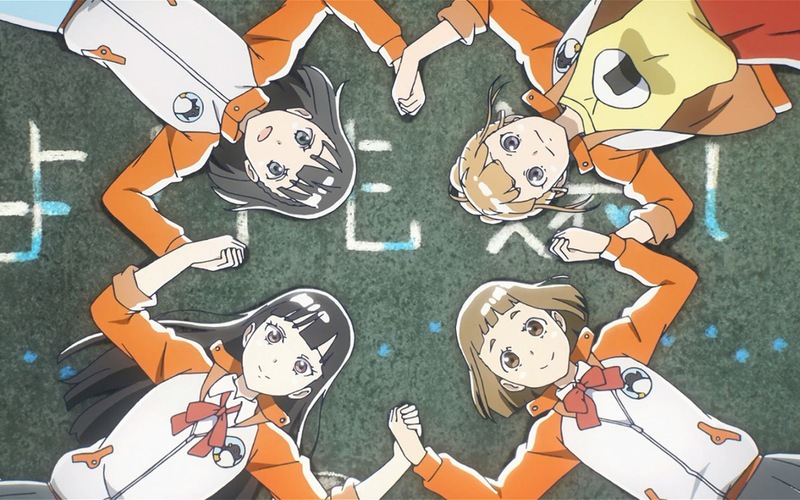 Joined by two other girls, Hinata Miyake and Yuzuki Shiraishi, they join an expedition headed towards the Antarctic. 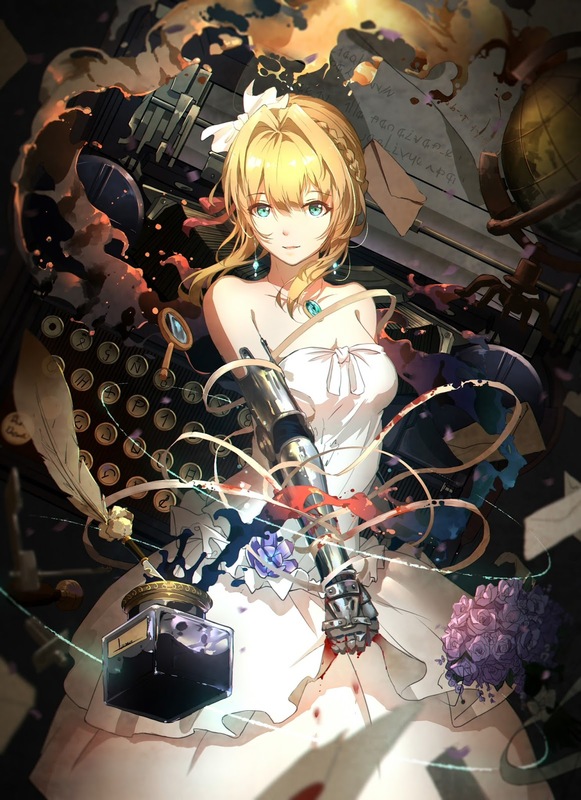 Plot Summary: [Source: Wikipedia] The story revolves around Auto Memory Dolls (Jidō Shuki Ningyō): dolls initially created by a scientist named Dr. Orland to assist his blind wife Mollie in writing her novels, and later rented out to other people who needed their services. In the present time, the term refers to the industry of writing for others. While the initial function of Auto Memory Dolls is only to generate voices into text, a second group of people created a company that "rented out" beautiful talented women who, while having the same function as the original Auto Memory Dolls, also can perform military-related tasks. Plot Summary: [Source: Wikipedia] Inuyashiki Ichiro is a middle-aged, friendless man with an uncaring family. 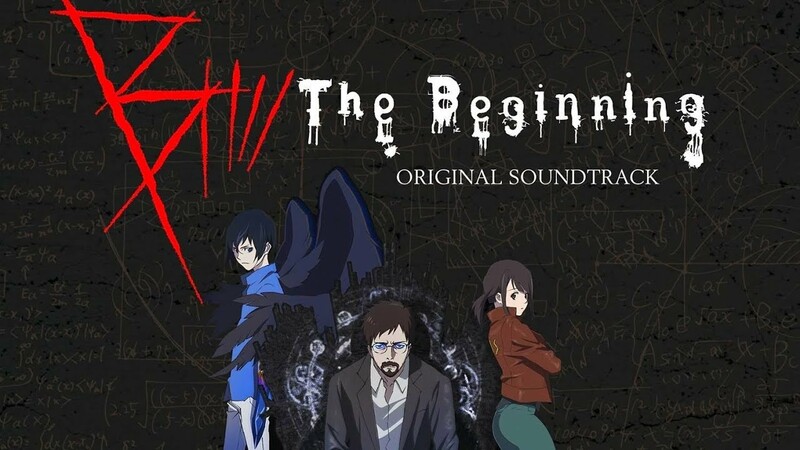 One fateful evening, he is struck by a mysterious explosion in a public park, which is of extraterrestrial origin, and his body is replaced by an incredibly powerful, but still outwardly human, mechanical body. He quickly realizes the extent of his body's powers, and after saving a homeless man being beaten by a pack of teenagers, he decides to dedicate himself to doing good, using his powers to heal those with incurable diseases and fight crime. However, a teenager who was with him at the time of the explosion, Shishigami Hiro, had the same fate as Ichiro, but unlike Inuyashiki, Shishigami becomes a psychopath who goes about using his new found abilities to murder people, from classmates that annoy him to innocent families, including young children and infants, just for amusement. His acts of merciless cruelty brings him the attention of the police, who can do nothing to stop him, even as it does not take long for Hiro to become the most wanted and dangerous criminal in the country. The series then keeps following these two different individuals who once shared the same, bizarre experience, as their paths are destined to clash, and in the end, their ultimate fates. Plot Summary: [Source: Wikipedia] In a world powered by advanced technology, crime and action unfold in the archipelagic nation of Cremona. Koku, the protagonist. Keith, the legendary investigator of the RIS, the Royal Investigation Service. A mysterious criminal organization. A wide variety of characters race through the fortified city as it is beset by the serial killer, Killer B, and a chain of crimes. Plot Summary: [Source: Wikipedia] In a mystical realm that exists beneath the human world, populated by magical-powered beings, a girl named Chun participates in a coming-of-age ritual where she is transported through a portal of water to experience the human world in the form of a red dolphin. There, she encounters a human boy who lives by the sea and reveres aquatic creatures. During a storm, Chun is tangled in a fishing net near the boy's house, and the boy drowns while freeing her from the net. Chun returns to her world, taking the boy's ocarina with her. Chun bargains with the soul keeper, a resident of her world who collects virtuous departed souls from the human world, to return the boy to life. The soul keeper takes half of her lifespan in exchange for giving her the boy's soul, which has manifested in this world in the form of a baby dolphin. He advises her that she must nurture the dolphin to adulthood in order to return the boy's soul to the human world. Qiu, Chun's childhood friend, discovers her undertaking; since beings from the human world are forbidden, he promises to help her keep her task secret. Together, they name the dolphin Kun, after a massive fish of legend. Chun's mother soon finds Kun and throws him into the sewer. While searching for Kun, Chun and Qiu meet the rat matron, who collects the souls of sinners from the human world, which manifest in the form of rats. She takes an interest in the dolphin from the human world, and summons her rats to recover him from the sewer. Chun and Qiu managed to escape from the rats taking Kun with them. When Qiu is bitten by a two-headed snake, Chun's grandfather draws the venom into his own body to save Qiu's life. Before succumbing to the venom, he confides in her that he will support her in her task even in death. After his passing, his soul manifests in the form of a begonia tree. As Chun's world begins to experience unnatural torrential rains and snowfall, her family and the local elders realize that Kun's continued presence has caused these phenomena. One night, after Chun confesses to Qiu that she traded away half her lifespan, Qiu receives a warning from the rat matron to hide Kun. He puts Kun in a frozen lake in order to save Chun from further persecution, but Chun dives in after Kun. The rat matron summons her rats to recover Chun and Kun from the icy water, and takes the ocarina from Chun, planning to use it to secure her own passage to the human world. As Chun continues to watch over Kun, Qiu visits the soul keeper to bargain his own life for the return of Chun's. The soul keeper demands his entire lifespan as payment, while warning that Chun will still die regardless when Kun returns to the human world. The soul keeper reveals to Qiu how to save Chun from this fate. The residents of Chun's world gather to kill Kun and avert further calamity. Qiu arrives and performs the ritual to open a portal to the human world, but Kun is unable to swim through it, while the rat matron arrives and uses the ocarina to pass through the portal. Holes in the sky begin to open uncontrollably, flooding Chun's world with sea water from the human world. Chun is reminded that her actions to save Kun are dooming the people of her own world; she tries to help them evacuate from the flood, but is spurned by all, including her mother. As a last resort, Chun sacrifices herself, merging her body with her grandfather's begonia tree to grow it to colossal proportions, plugging the holes in the sky and saving everyone from the flood. 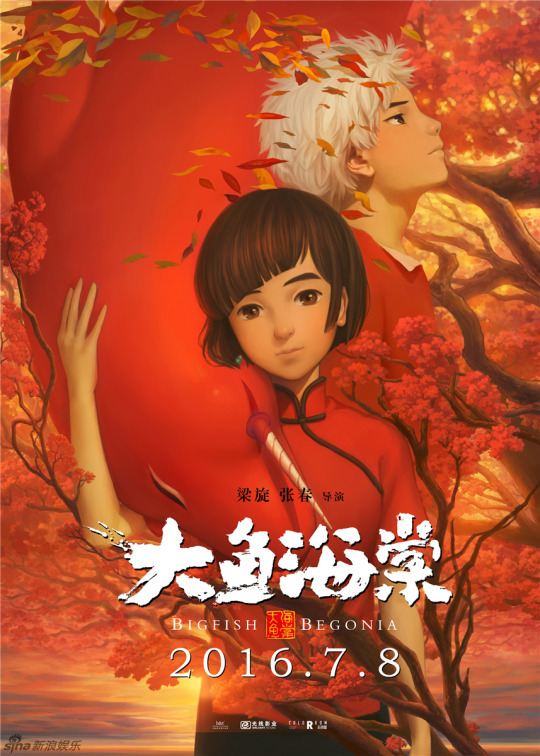 Kun breaks a branch off the begonia tree and brings to the soul keeper who restores Chun to life from it. He sets her on a pilgrimage to return Kun to his world; along the way, they find Qiu, who joins them. Qiu asks her whether she would like to live in the human world herself, but, overwhelmed with regret in knowing they are spending their last night together, is unable to express his feelings for her. The next day, Chun bids Kun farewell as Qiu opens one last portal for his return. At the same time, Qiu, following the soul keeper's instructions, casts a spell that will send Chun to the human world while killing him by setting him on magical fire. Chun is transformed into a red dolphin, allowing her to follow Kun through the portal. On a seashore in the human world, Kun and Chun wash ashore in their human forms. Chun holds out her hand to Kun. In a mid-credits scene, the soul keeper restores Qiu to life from his ashes, declaring that Qiu will be his successor.